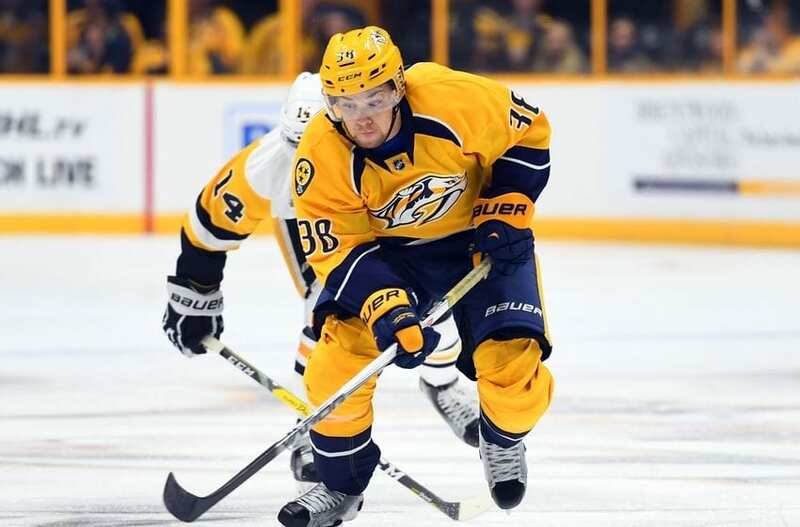 The Nashville Predators rewarded Viktor Arvidsson last weekend with a new contract worth nearly $30 million. The Stanley Cup runner-up Nashville Predators made several announcements last week, signing both players and coaches even though training camp is still several weeks away. They rewarded one of the main stars responsible for their unprecedented playoff push, while also hiring a replacement coach in a key position, and promoting another coach up the ladder. Arvidsson’s signing was one of many during the week. The Predators also signed forwards Frederic Gaudreau and Pontus Aberg, plus backup goalie Marek Mazanec to new deals. Remaining unsigned as the week began were forward Austin Watson and center Ryan Johansen. Johansen as their number one center figures to be the most problematic as he is anticipating and is in line for a huge raise. The team also is still uncertain regarding captain Mike Fisher. If he returns, he would also have to get a new contract, but retirement is an option. Whatever happens, the number that the Predators have in projected cap space at this time is $14,5 million, barring some other unexpected deals or releases. Nashville also filled a coaching vacancy last Friday. Dan Muse was hired as an assistant coach, replacing the departed Phil Housley, who is now the new head coach of the Buffalo Sabres. Housley among other things helped transform the Predators’ defensive corps into the best in the NHL during his four years, and Predators defensemen led all NHL teams in playoff scoring. Muse formerly coached the United States Hockey League’s Chicago Steel for two seasons. The Steel won the Clark Cup championship last May, and Muse becomes that league’s first coach to win a promotion to the NHL. Muse will coach the forwards and also be responsible for the Predators’ penalty killing unit. Now the Predators are still looking for a replacement for James Neal, a key scorer taken in the expansion draft. But GM David Poile continues to maintain that the team will NOT trade a premium defenseman for either a center or a wing.